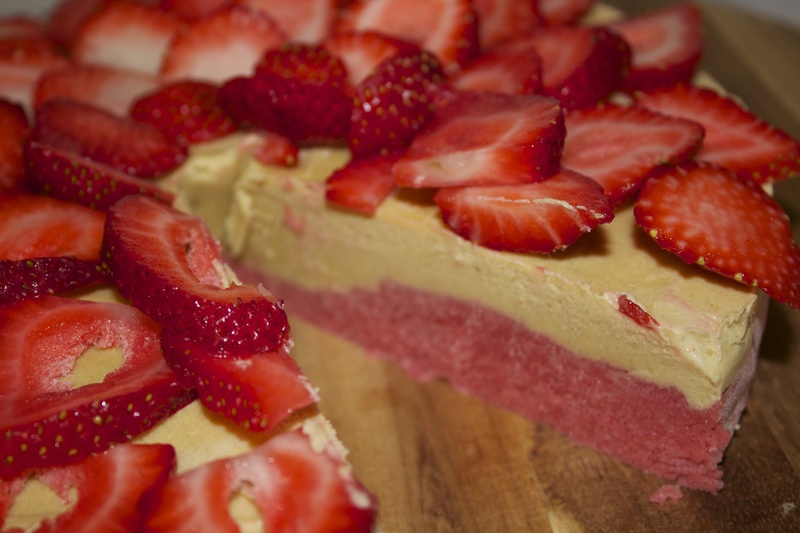 Raw Banana Strawberry Cream Cake. My experiments with raw desserts never end. 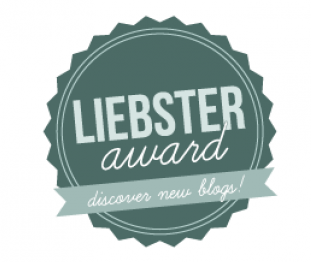 I try a lot of recipes during the week, and pick my favorite ones to share with you. The raw treats taste different from the cooked ones. They have deep flavors. They are juicy and naturally sweet. They are REAL, because they are made of real food. I made couple of cakes recently, and my 2 years old daughter thinks it’s somebody’s birthday all the time. As soon as she sees the new cake, she starts singing “Happy Birthday!” song. So we have pretending birthday parties almost every day. 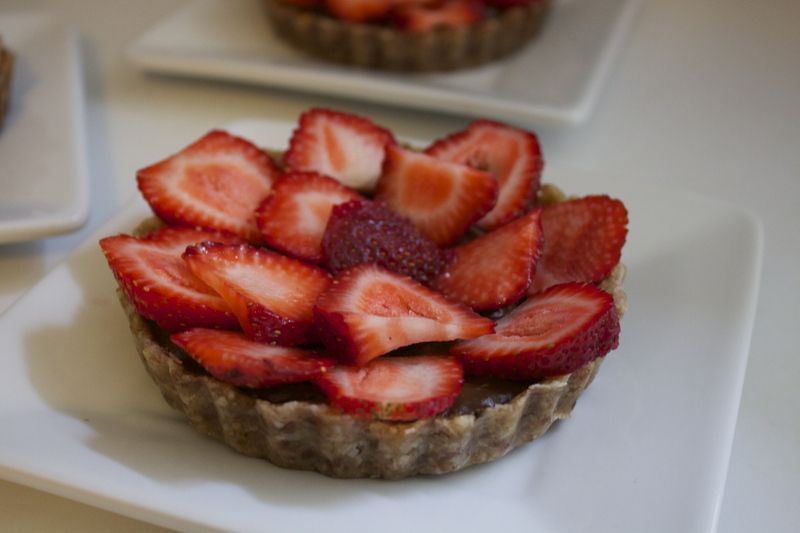 This recipe is from one amazing girl’s blog, who follows raw food diet. Her recipes and ideas are amazing. I changed the recipe a little bit, but this raw cake tastes delicious. If any of you likes frozen dessert treats, this recipe is for you. This is the healthy and delicious version of ice-cream cake. 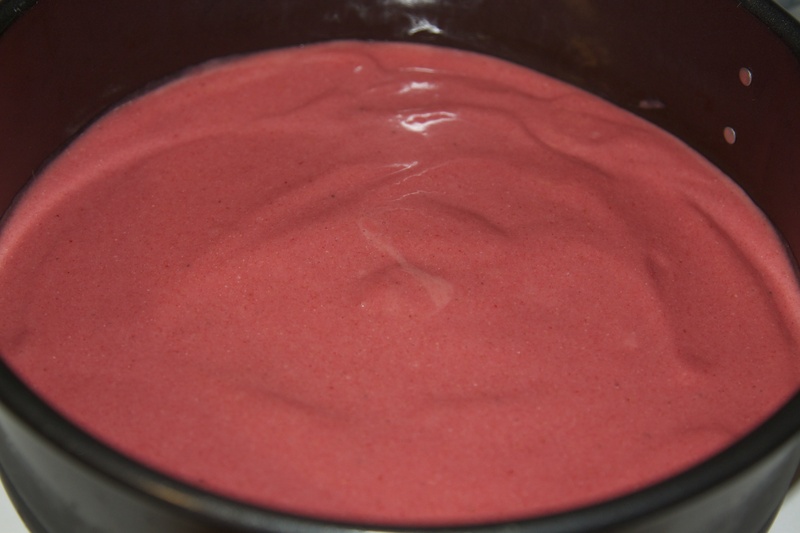 Put the bananas in your blender, followed by the frozen berries and blend until smooth. Spread evenly into a spring form pan. To make the cream layer: soak macadamia nuts in the water for 4 hours. Rinse the water from the nuts. Blend all ingredients until smooth, adding as LITTLE water possible, if you need any at all. The less water you use, the creamier it will be. Spread the macadamia cream layer on the top of the pink one. Freeze until solid and then garnish with strawberries. 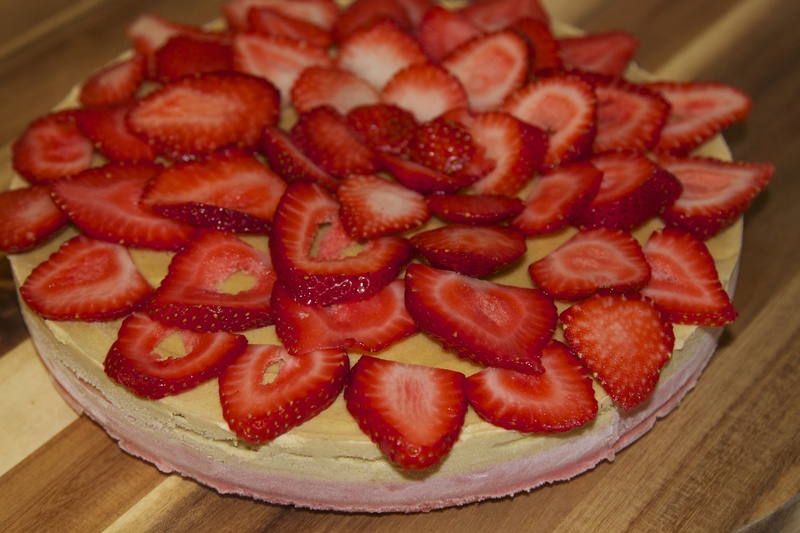 Recomendations: I will use a little macadamia nuts in the pink layer next time, to make it more creamier. I will use cashews next time instead of macadamia nuts. A Greenwich High School sophomore who for years was relentlessly bullied by his peers committed suicide after the first day of classes Tuesday. Bartlomiej “Bart” Palosz, 15, shot himself to death Tuesday night at his family’s home in the Byram section of Greenwich, police said. First Selectman Peter Tesei said he has been told by people in the community who knew Palosz that bullying might have contributed to his decision to take his own life. This story happened few miles from us in the neighbor town this week. It makes me sad and cry for this boy and his family. The boy was bullied for 10 years. Really? Why nobody did anything? Why do our kids bully the other ones? In my opinion bullying starts in preschool. Where does it come from? First of all from the kids’ parents. Kids hear conversations between adults at homes and start copying them. Do we, parents ever thought what we say in front of our kids, what we teach our own children? The USA is the country of immigrants and I hear so many jokes from people about it all the time. Do people here ever think their parents, grandparents etc. come from immigrants too? When I first came to US, I was living in NJ for a few years. Later, I moved to CT and immediately felt the HUGE difference between people from the different states. People of different age can say different things that can hurt somebody very deep and lead it to the bad ending. Just a little example from our common life. I have been to one meeting recently and one of the guys joked rude about immigrants. These people were over 60, and they behaved like elementary school students. It’s just a little example from the everyday life. Most of adults don’t care about it, but the kids are sensitive, teenagers are even more sensitive. 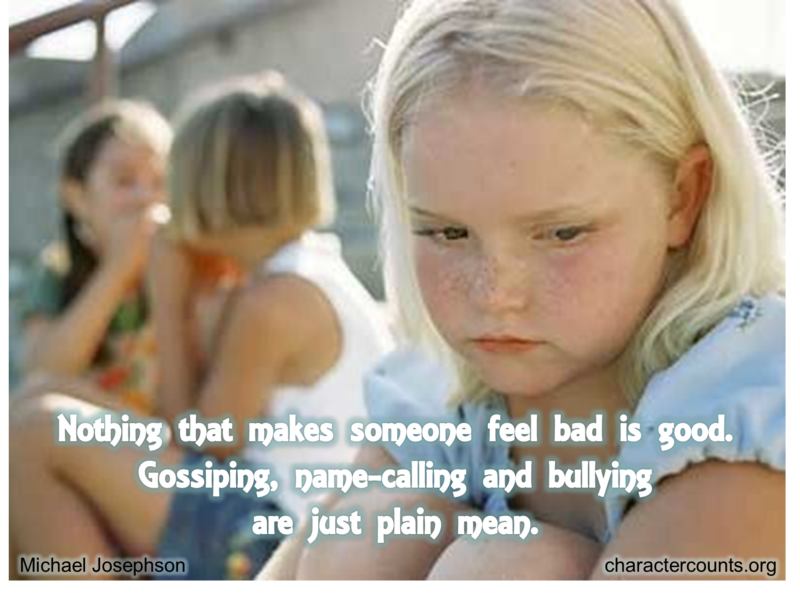 Why don’t the parents, teachers teach their kids about the importance of being nice to the other people? Do we need tragedies like this to understand and realize the importance of our kids’ lives? 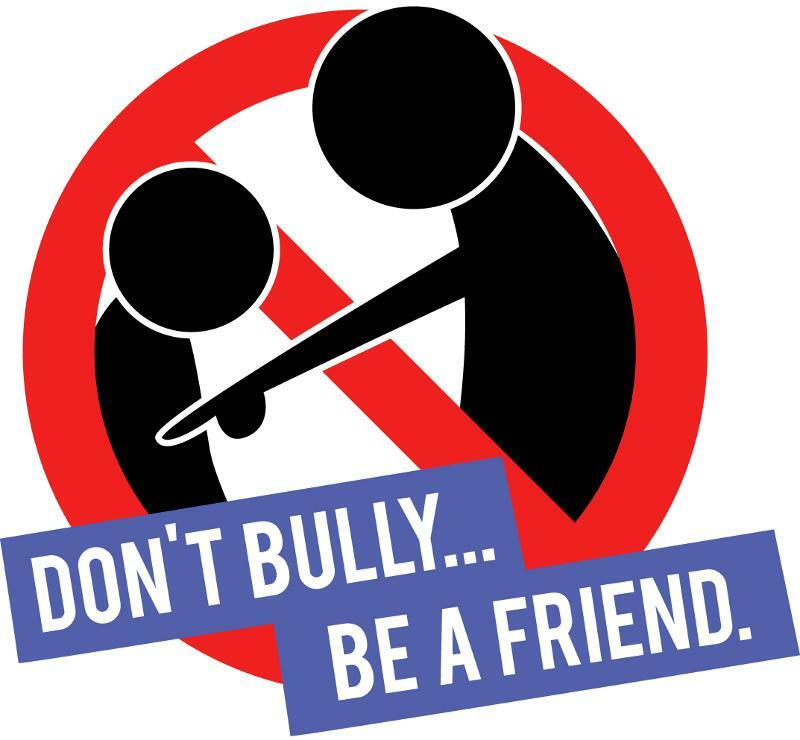 Do we want to be the examples of bullying somebody’s kids? My daughter starts preschool in a week, and the only thing I am worried about is bullying. I know, she is little, and the kids her age don’t do it, but I already think about it. I don’t want her to be anybody’s victim. Should I do homeschooling and keep her safe from bullying in the future? I ask myself this question all the time. I want her to be happy at school and come back home with a smile on her face. I would never let her bully the other kids, and will make everything to teach her protect herself from bullying. Carrot cake is one of my favorite cakes. Honestly, I’ve never made it before. I usually have it from the bakery or Whole Foods. Many people’s favorite part of the cake is frosting, but it is so hard to find the carrot cake with the good frosting. Most of the times, I just scoop the frosting off the cake and eat the plain cake, because it doesn’t taste good to me. Carrot cake sounds like healthy dessert, but using the butter, sugar, white flour in it does not make it healthy at all. 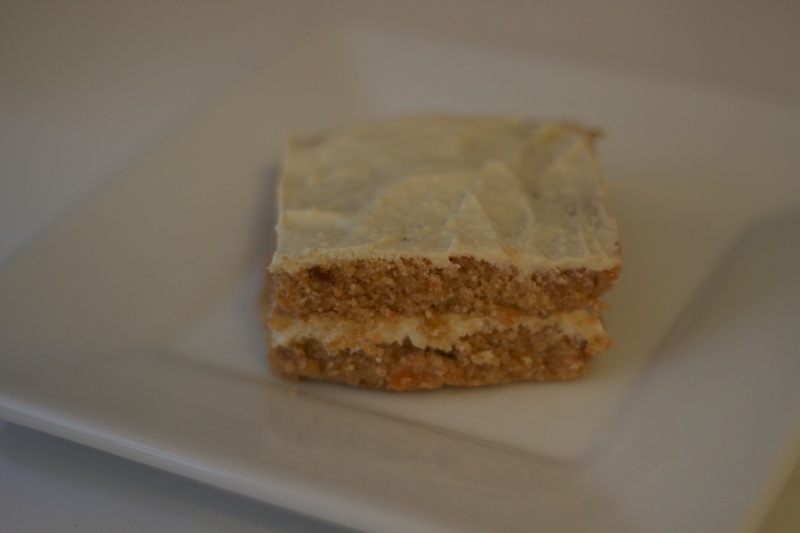 Trying to be creative with healthy cooking and trying different combinations, I came up with the raw carrot cake recipe. 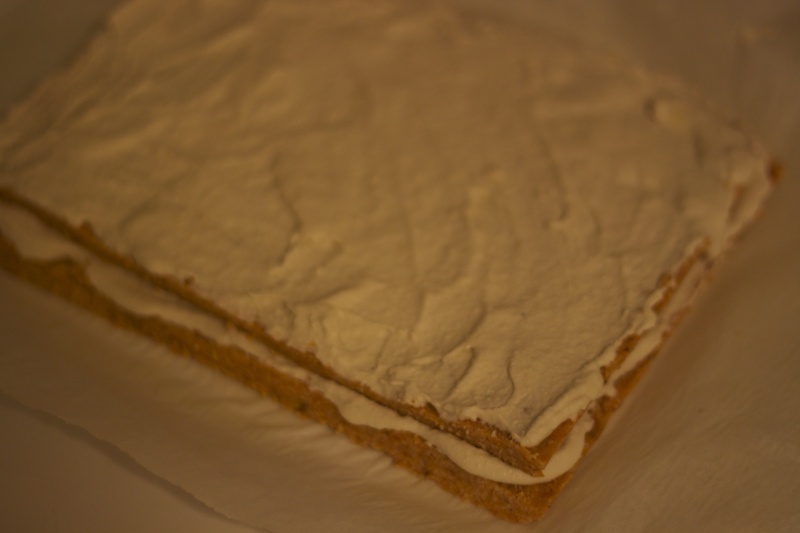 This cake is nothing fancy, but is really easy to make and has suprisingly delicious flavors melting in your mouth. I did it only once, but it was a hit at house. Sophia and my hubby were fighting for the last piece:) I couln’t be happier: two loving ones fight for healthy food. Combine the drain dates, apple, water, lemon juice and vanilla in food processor and blend it until fairly smooth. Add the cinnamon, nutmeg and salt and blend again. Mix the shredded carrots with the mixture from the food processor and stir well. Add the coconut flour and stir until the batter is combined and uniform. Set the batter for 10 minutes to allow the coconut flour to absorb the liquid mixture. Add some chopped walnuts. Put the batter in the rectangle form, pressing it firmly and evenly, and freeze for 4 hours. After it firmed up, cut it half, making two layers of cake. Combine the drained cashews, milk, lemon juice, stevia in a high speed blenderand blend until completely smooth. Place one half of the cake on the plate and frost the top only with the frosting. Carefully place the other cake half on top, and use the rest of the icing to frost the top of the cake. Refrigerate overnight, or until ready to serve. When it’s summer and you can get all the fresh and juicy vegetables at the farmers market, you are into making a lot of salads. This is about me. I like any kind of salad, and it doesn’t matter if I ate tomatoes three days in a row, and having tomatoes salad tonight again. But I have to be creative for my family. They are not picky, although they like to try something new. You need to be creative for the salads sometimes. Salad sounds so easy to make, but one ingredient can make the perfect flavors or ruin it at once. Last Thursday I picked some fresh tomatoes and corn at the farmers market. Usually I try to plan the menu for the week, but this time nothing was in my mind. I saw ripe bright red tomatoes, the other minute I saw juicy fresh corn, and I just bought them. At home my first thought was to boil corn for dinner, but then I decided to use it in the salad. 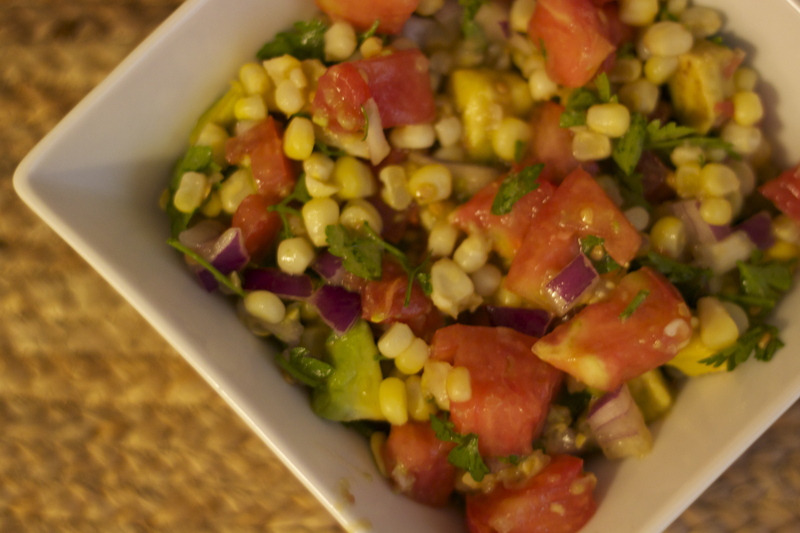 The combination of corn, tomatoes and avocados is perfect, and it tastes even better, when you use lime juice with it. Do you know that tomato is considered both a fruit and vegetable and forms an integral part of the cuisine all across the globe especially in the Mediterranean region. Health benefits of tomato include improved eye sight, good gut health, low hypertension, relief from diabetes, skin problems and urinary tract infections. 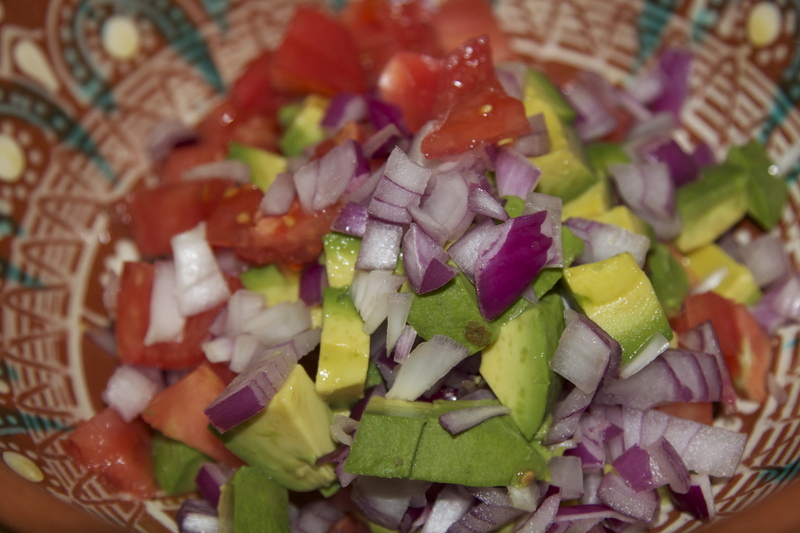 Enjoy ripe and delicious tomatoes in my salad recipe. Stand ear in a large wide bowl; with a sharp knife, carefully slice downward to release the kernels. 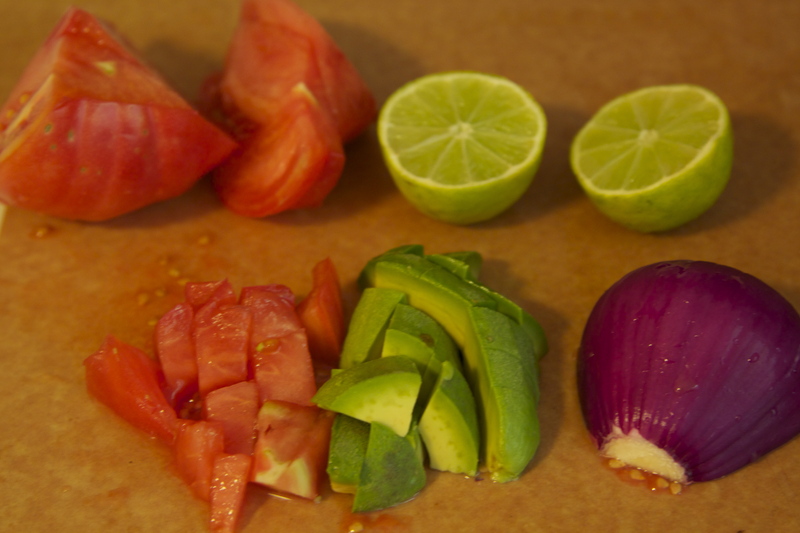 Add onions, tomatoes, avocados, lime juice and olive oil. Serve immediately, otherwise the salad becomes watery because of tomatoes. How to make your kids eat vegetables. 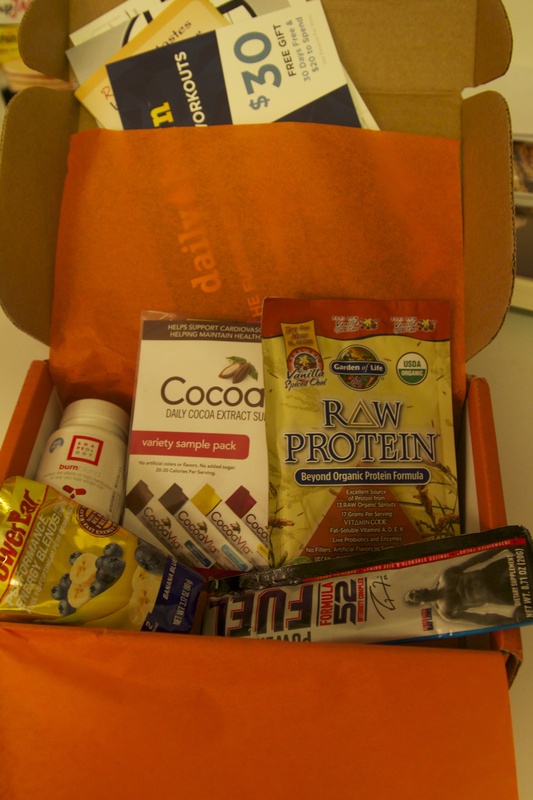 We know how important is to eat vegetables and fruits and get all the vitamins from there. Many parents struggle with their kids’ food every day. 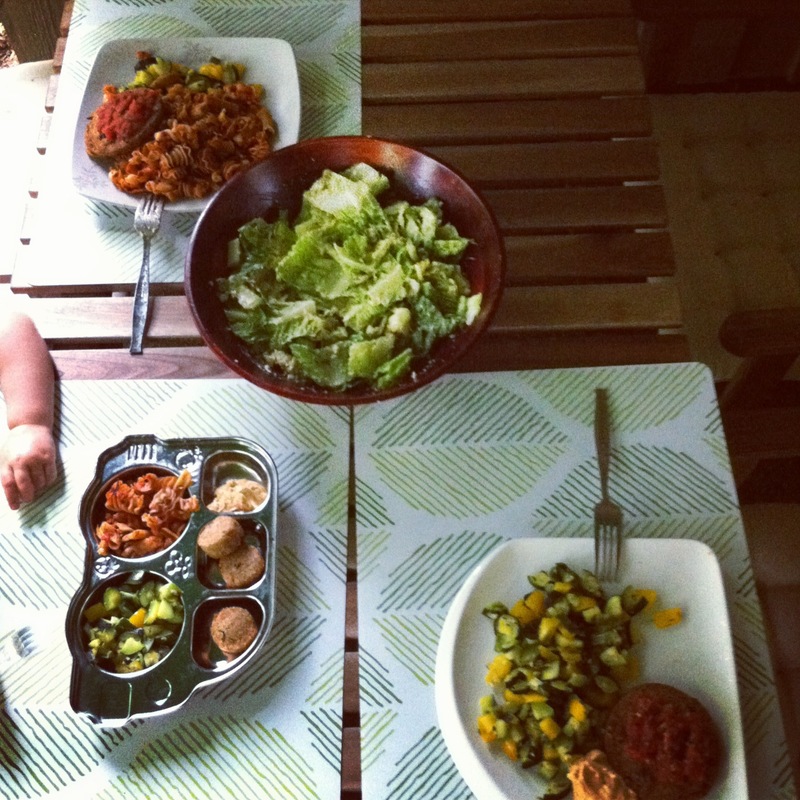 Kids don’t want to eat vegetables, they refuse any green color on their plate and want to eat anything but no veggies. There are some ways to make your kids like vegetables and actually eat them. If you children see you eating pizza while you’re telling them to eat broccoli, they’re going to tune you out. I remember Sophia didn’t want to eat salad at all. She never wanted to try it. We usually have salad for dinner, and our example helped her to like it too. One day, she just asked for salad, and now she loves it. The same thing happened with the guacamole and hummus. Show the right example. 2. 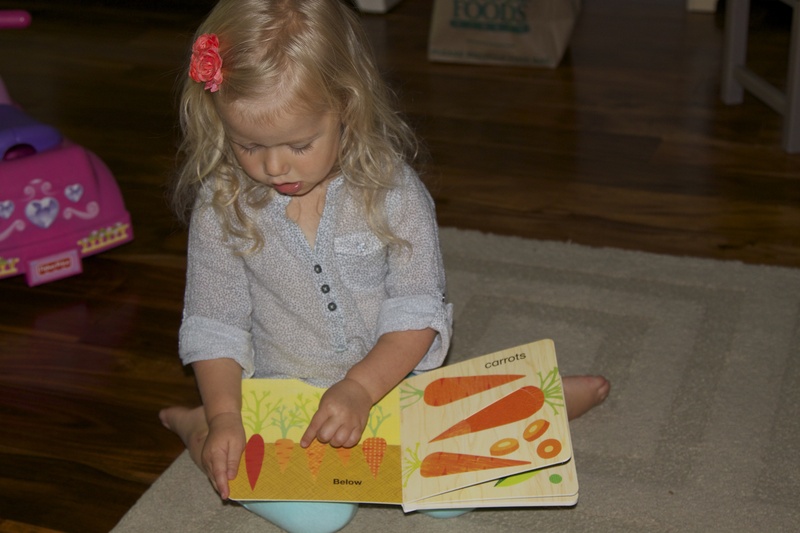 Books and games with vegetables. 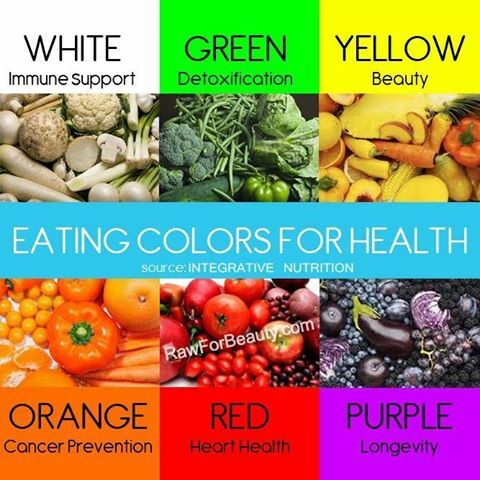 Get some books, coloring books with vegetables and fruits. Read them from time to time. Sophia has a lot of fruits and vegetables in her toy kitchen. She always cooks salad or vegetable soup for her dolls, makes veggies sandwiches for us. We also have some kids books about the importance of vegetables and fruits in our diet. 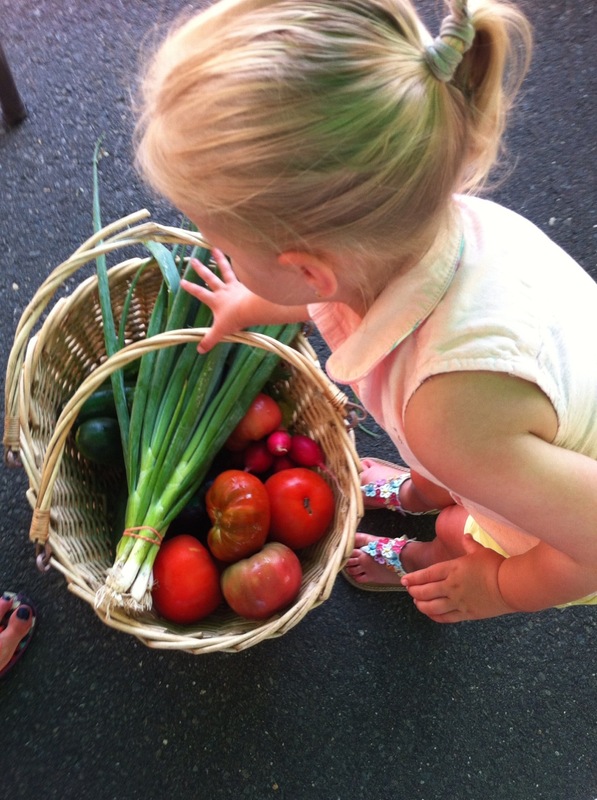 Garden with your children, shop together and include them in preparing meals. Before we go grocery shopping I always ask my daughter what we are going to buy. In the store she shows me, where to get bananas, tomatoes, avocados etc. She loves going to the farmers market and picking up the fresh produce. Cooking together is important too, she can see what her dish is made of. This makes the happiest girl in the world. Imagine, your kid watches you every night putting the chicken nuggets in the oven, or microwave. Does it sound fun to you? Hang a color wheel on the fridge and ask your kid: “Did we eat something from nature in each color group today?” This trick sounds fun and will make your kids try at least one piece of vegetable. 5. Hide the vegetables in the dish. This works a lot of times for kids who don’t touch vegetables at all. There are a lot different recipes with hiding vegetables in them: turkey meatballs with zucchini, pumpkin muffins with carrots, meatloaf with bell pepper, chocolate dessert with avocado in it, different kids of ice-pops made of veggies and fruit. This recipe hides avocados in it. 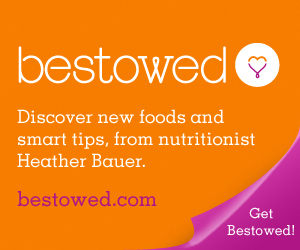 Expose your kids to new and different foods over and over again. Continue serving food that’s been rejected, and never remind them that they didn’t like it before. Often the veggie they “hated” last months becomes their new favorite the next months. Biscotti more correctly known as biscotti di Prato (English: Prato biscuits), also known ascantuccini (English: coffee bread), are twice-baked biscuits originating in the italian city of Prato.The biscuits are oblong-shaped almond biscuits, made dry and crunchy through cutting the loaf of dough while still hot and fresh from baking in the oven. The recipe I am sharing today is wheat-free, gluten-free, dairy free. Great alternative to the regular sugary, buttery biscotti. 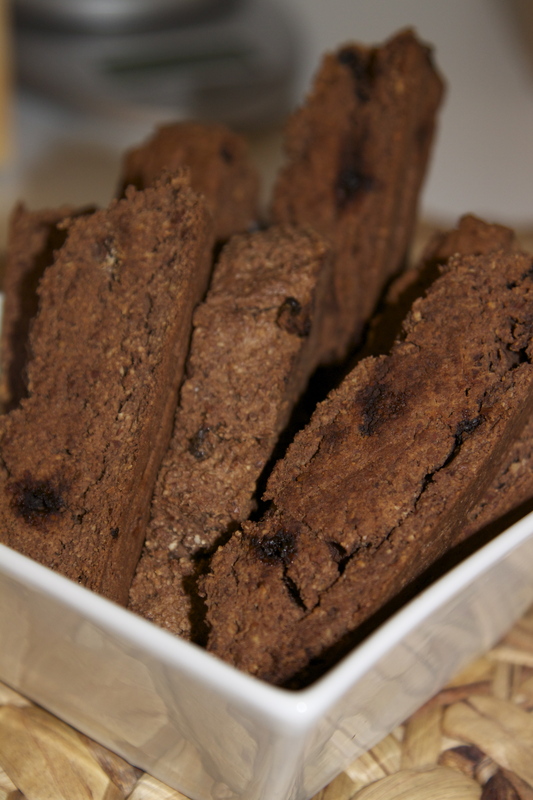 These biscotti are rich with the naturally delicious combination of chocolate and almonds. Preheat the oven to 350F. Line the baking sheet with parchment paper. In a large bowl, whisk together the eggs, coconut milk, coconut oil, almond butter, stevia and almond milk. Stir in the almond meal, coconut flour, cocoa and chocolate. Stir until well blended. Place on the baking sheet and shape into a loaf. Bake for 40 minutes. Remove from the oven and reduce the heat to 300F. Cool on the baking sheet on a rack for 15 minutes. 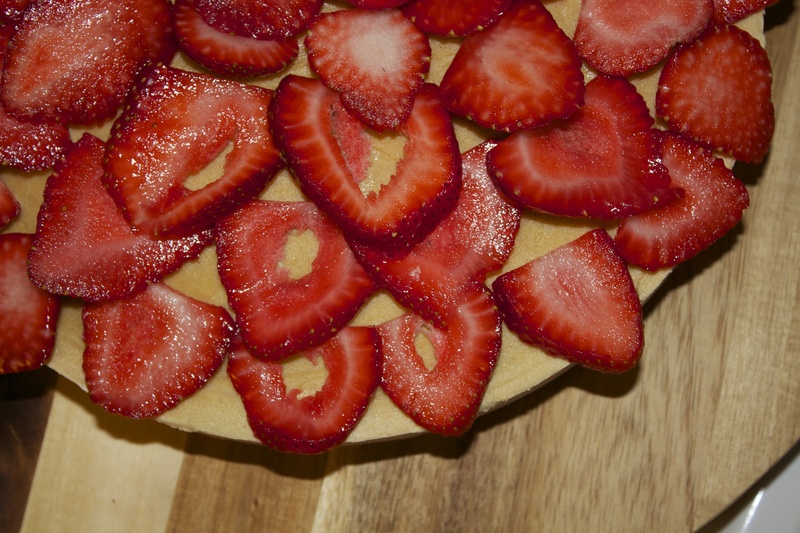 Cut crosswise into slices and lay each slice on its side on the baking sheet. Bake for 30 minutes, turning the biscotti once halfway through the baking time, or until firm and dry. Cool on the rack for 30 minutes. Serve with coffee, cappuccino, hot tea or almond milk.